The Brianna Fund for Children with Physical Disabilities was founded on September 18th 1998 to assist children with physical disabilities by eliminating barriers of access to community resources. The Brianna Fund provides necessary solutions to pressing mobility issues. With the goal that children with physical disabilities will enhance their capacity for living a full and productive life, the Brianna Fund has to date provided grants to over 46 families in the Greater Springfield community. children from birth to 22 years of age, which specifically relates to mobility and access, are eligible to receive funding and/or advocacy assistance. The BF is operated under the auspices of the Community Foundation of Western Massachusetts. Conor McCormick turns 17 today, on this 14th day of January. Six months ago, on July 17th, he suffered a life changing spinal cord injury, while playing in the pool with friends and family. In a matter of hours, he went from being a varsity lacrosse player, to a quadriplegic. Over the last six months, he spent three weeks with only the ability to blink. He has gone through seven surgeries, three life-threatening infections, pneumonia, a collapsed lung and other serious struggles. This all coming after major heart surgery in 2012. Through it all, his faith has remained strong and he has overcome, time and time again. Conor is the oldest of five children. His accident has put a heavy financial burden and an intense, emotional strain on his family. God has been working in miraculous ways since July. The honor of being appointed the 2017 Brianna Fund Angel is yet another blessing Conor and his family are beyond grateful for. 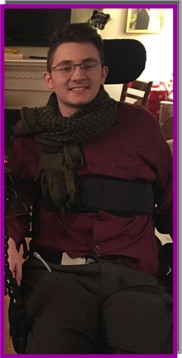 Conor is currently in Philadelphia, and cannot attend this evening because he is recovering from nerve and tendon transfer surgery from some of the best spinal cord injury specialists in the country. He sends his love, prayers and gratitude. Mrs. Jacqueline Williams-Hines’ journey began nearly 18 years ago upon receiving a diagnosis of autism for her youngest son, Joshua. Determined to educate herself about this devastating diagnosis, she scoured the internet devouring the then sparse information sources. To educate her son’s peers on autism Mrs. Williams-Hines self-published her first children’s book, “Joshua and the Startabulous Dream Maker.” Positive response to this book prompted Williams-Hines to organize autism awareness walks and fairs on autism. Community grants and personal funding enabled Mrs. Williams-Hines to publish “The Adventures of Suther Joshua from Planet Yethican”, “Joshua, That’s Sooo Slimming!” “Joshua I’m Over Here!” as well as an accompanying discussion guide. She returned to school in 2009 to obtain a BA of Science degree in Human Services. She is completing her Master’s Degree with plans to become a Board-Certified Behavior Analyst in Winter 2017. Employed as a behavior therapist working with children diagnosed on the autism spectrum, Williams-Hines continues to educate her community about autism. 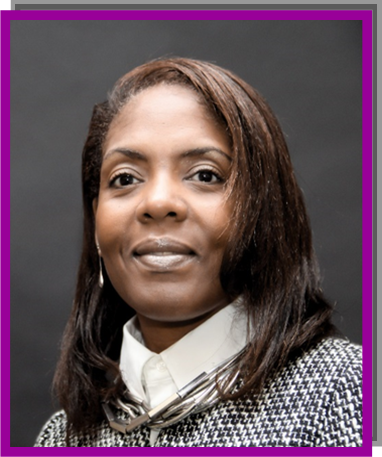 Mrs. Williams-Hines plans to continue her work as an advocate, nonprofit leader, public speaker, educator as well as global talk radio show host and proud parent of Joshua, a YMCA employee, college bound student and now an aspiring artist and dancer living with autism.